The Most people keep on living with nagging symptoms which can not be labelled as some disease or illness, but they do not feel well at all. They feel fatigued, stressed out and do not enjoy their life of vitality, zeal and enthusiasm. They just get used to the feeling of fatigue and lack of strength. The fact is that they are going towards a chronic disease because of their irresponsible behavior towards their health. Nutrition plays a very important role in preventing chronic disease and treating this fatigue syndrome. Dietary recommendations made by most doctors tend to be more focused on the specific intakes that avoid deficiency rather than those which promote optimal health, but Ayurveda recommends complete rejuvenation through 'Rasayana' therapy' i.e. optimum nutrition to promote optimal health. Our "Brahmi Chawyanprash" is a 'Rasayana' Jam, made up of Amla (Indian Gooseberry) and 48 other life enhancing, vitality promoting herbs. Brahmi (Bacopa monnieri), is a very effective mental tonic and relieves anxiety, stress and blood pressure. Other herbs are useful in preventing ageing and damage due to stress, pollution, blood pressure and our faulty diets and life style. Brahmi Chawyanprash is specifically made to meet the body and mind's requirements of nutrition and energy. 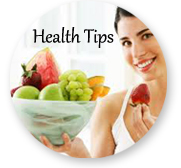 Dosage- 2-3 teaspoonfuls twice daily, with or without milk, before or after meals.. or anytime you like. Indications- Fatigue, Stress, Blood Pressure, Anxiety, Palpitations, Lack of memory and concentration, Run down conditions, Low Immunity, AIDS and related immunity disorders,Cancers, As a supplement in Tuberculosis and other chronic ailments. 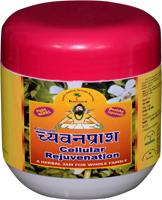 Brahmi Chavanprash is an age old traditional formula dating back to 3000 B.C. Every person in India has tasted Chavanprash once in it's lifetime. It is a rejuevenative tonic in the form of a Jam which every mom gives to her kids for their growth and nutrition requirements. 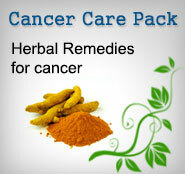 Herbs like Brahmi help in boosting the memory and Amla helps in building the immune system. The ordinary Chawyanprash contains 43 rare herbs processed in Amla paste but Brahmi Chawyanprash contains 48 and more of Brahmi for relieving stress and increasing memory. Chvanprash is a cellular rejuvenator and is beyond comparison with any other product in the world for its rejuvenative properties. It has an ancient story related to its making in ancient Indian literature. When one of the most popular ancient indian saint " Rishi Chayan" lost his youth and aura, this rejuvenating herbal jam was made on his name by "God" himself to rejuvenate him. He gained his lost strength and youth after using this rejuvenation herbal formula. This formula is mentioned in ancient Indian Ayurveda texts and we have used the same herbs and some more to give it an upper edge. So we are getting the rewards and the testimonies pouring in from all around the world ! ! I was looking for some really nice product for my stressed out life. I searched everywhere and finally decided to try Dr. Chauhan's Brami Chvanprash. After fifteen days of usage, I could not believe the results. I was all new again. I mailed Dr. Chauhan about this and was surprised to know how effective natural products can be. Brenda - Brisbane, Australia. I regularly visit Dr. Vikam for my health problems and very much impressed about his knowledge of herbs. I have travelled world wide but I have never met a doctor of his caliber and healing touch. He recommneded me this herbal Jam for rejuvenation last month for my father, who is 90 years of age and my dad says " I feel so rejuvenated and young again". He has regained his lost strength, thanks to Dr. Vikram for his services. May God bless him. - Mr. Sanjay Sharma- Administrative officer- Chandigarh, India.